NSU Research Spotlight: Rachel A. “Stacey” Coulter, O.D., M.S.Ed. Rachel A. “Stacey” Coulter, O.D., M.S.Ed. Rachel A. “Stacey” Coulter, O.D., M.S.Ed., F.A.A.O., F.C.O.V.D., associate professor in NSU’s College of Optometry is the principal investigator for a multi-year, clinical trial grant from the National Eye Institute titled “Convergence Insufficiency Treatment Trial – Attention and Reading Trial (CITT-ART).” As one of eight clinical centers, Coulter and the NSU CITT-ART study team will investigate if treatment of an eye teaming condition called convergence insufficiency impacts reading performance and attention in school-aged children. Children, who have this condition often experience headaches, fatigue when reading, blurry vision, double vision or print that appears to move while reading. While the association of symptoms with convergence insufficiency is well documented and in-office vision therapy reduces symptoms, it is established if the reduction of symptoms is linked to changes in reading or attention. Other members of the study team at NSU include Annette Bade, O.D., F.A.A.O. ; Gregory Fecho, O.D. 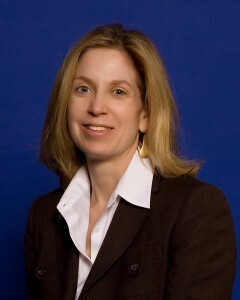 ; Erin Jenewein, O.D., M.S., F.A.A.O. ; Deborah Amster, O.D., F.A.A.O., F.C.O.V.D. ; Yin C. Tea, O.D., F.A.A.O. ; Jacqueline Rodena, O.D., F.A.A.O. ; Nicole Patterson, O.D., M.S., F.A.A.O. ; and Pamela Oliver, O.D., M.S., F.A.A.O.